WIth improvements in technology, build quality and metallurgy mean that cars are living longer and longer, even in the Rust Belt. 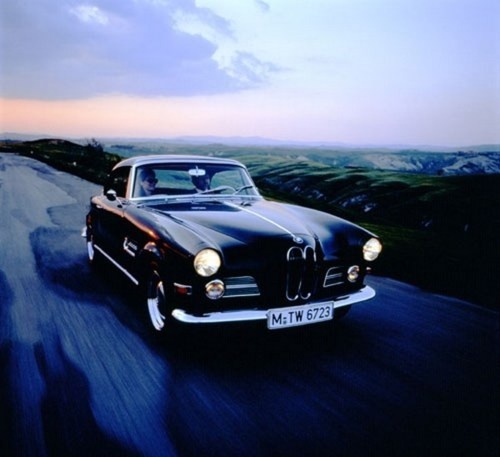 At Laguna Motor Werks, we can make sure your BMW or Mercedes Benz will last past 150,000 miles. In order to do that you will need to pay attention to these car tips and make sure to bring your car into the shop if you’re in the surrounding area of Orange County, Laguna Beach, Laguna Niguel, Newport Beach or others. With proper care and feeding, virtually any car can be kept running as long as the owner wants to keep it. Here are twelve guidelines to keeping your car alive well into six-figure territory with the help of maintenance and check ups at Laguna Motor Werks. Follow the maintenance schedule in your owner’s manual. If your car has a “maintenance minder”, use that as a guideline for service, but be sure to double-check your owner’s manual as some items need to be replaced based on time rather than mileage.Don’t forget the timing belt! Most cars need to have the timing belt replaced every 60,000 to 90,000 miles. It’s not cheap, but it’s far less expensive than the damage it causes if it breaks. Keep a repair fund. Cars do break, and there’s nothing like a $1,500 repair bill to scare an old-car owner into the new-car showroom. Remember, your car would have to generate repair bills of around $5,000 per year for at least four years in a row to even approach the cost of a new car. In place of your payment, try putting $100 or $200 per month into an interest-bearing car-repair account. That way an unexpected repair or major maintenance won’t disrupt your normal cash flow. Do your homework. Many cars have known problems that tend to pop up under certain circumstances or after enough mileage/time. Most makes and models have Web sites and forums devoted to them; they can be a gold mine of information. Knowing your car is prone to a given problem isn’t necessarily cause to get rid of it; it just allows you to be prepared. Be aware. Be on the lookout for new noises, strange smells or anything that just doesn’t feel right. If something seems amiss, talk to your mechanic or dealership. Don’t let them tell you “that’s normal” — if you’ve been driving your car long enough, you know best what normal is. Ask a friend to drive. Every two or three months, ask a friend to take you for a drive in your own car. Some problems appear or increase so gradually that you may not even notice them, but they’ll stick out like a sore thumb to someone less familiar. And by riding along in the passenger’s seat, you may spot something you missed while preoccupied with driving. Fix everything as soon as it breaks. If you’re going to keep your car as long as possible, you have to wantto keep it as long as possible. Don’t ignore seemingly unimportant problems like broken trim bits, torn upholstery, or electrical glitches. Little annoyances tend to add up and can begin to erode your love affair with your old car. Use quality replacement parts. Whether or not to use genuine manufacturer parts is open to debate, but don’t just opt for the least expensive parts you can find. Discuss options with your mechanic or parts store. If a non-wearing part is damaged, consider buying a used replacement — you’ll get manufacturer quality at a more affordable price. Keep it clean. Paint does more than make your car look good; it protects the materials underneath. Wash your car regularly. When water no longer beads on the paint, wax it. Fight rust. If you live where it snows, be sure to wash the car regularly — but only if the temperature is above freezing. (Below freezing the salt stays in solution and won’t harm the car.) Don’t park in a heated garage; melting snow allows embedded salt to attack. Make sure your car wash does not recycle their water — otherwise they’re just spraying your car with salt from other people’s vehicles. Drive gently. There’s no need to baby your car; in fact, a little foot-to-the-floor acceleration every once in a while is a good thing, but driving like a wannabe Michael Schumaker in his Formula 1 Ferrari isn’t good for your car (or your nerves). Gloat! If you enjoy the surprised looks people give you when you tell them your car has 150,000 miles on it, wait until you see their faces at 200,000. If people chide you about your old wheels, chide them about their car payments and higher insurance rates. Keeping your car as long as possible saves you hundreds of dollars per month; keeping it in good repair minimizes the environmental impact by ensuring that it runs cleanly and efficiently as possible. 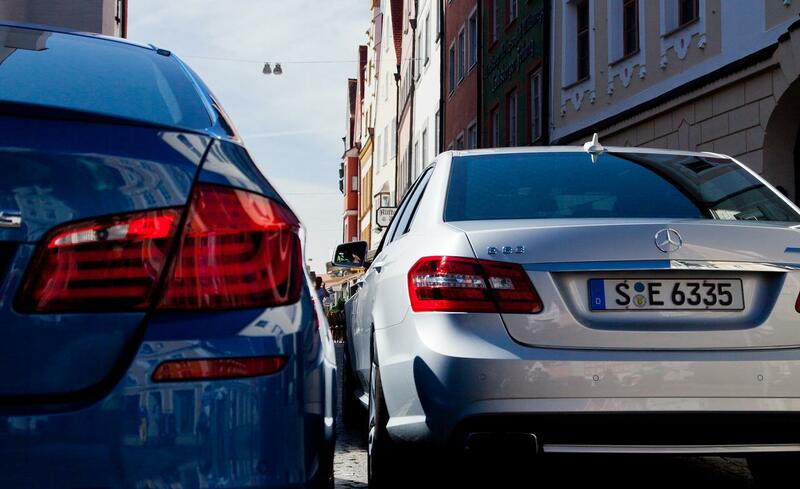 Feel free to gloat — you and your car have earned it! Mercedes-Benz is ramping up a small-car offensive with the introduction of a new compact crossover called the GLA-Class, set to debut at the Frankfurt International Motor Show in September. It looks very similar to the Concept GLA unveiled at the Shanghai auto show. Much of the 2015 GLA-Class’ underpinnings are shared with the all-new CLA-Class, which hits showrooms also in September. The small crossover segment is booming, which makes the 2015 Mercedes-Benz GLA a lynchpin for growth. It will compete with the Audi A3, which goes on sale next year, and the BMW X1, which debuted as a 2013 model and was first to market in this segment. The Land Rover Range Rover Evoque is another potential contender. 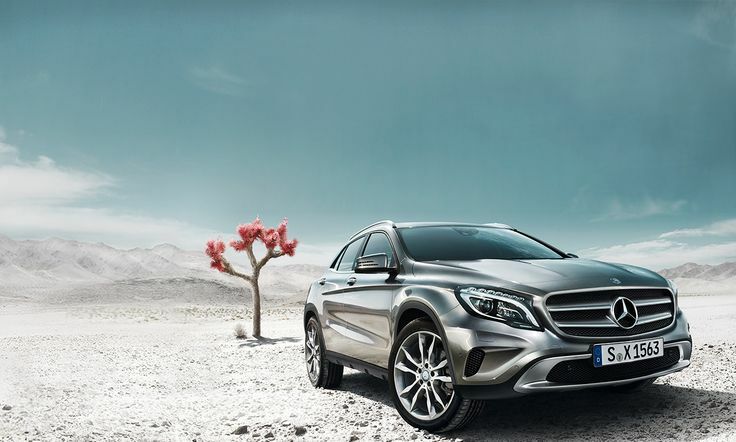 The 2015 GLA250 4Matic, set to go on sale in the United States in fall 2014, will use the same 208-horsepower four-cylinder engine and seven-speed, dual-clutch transmission as the CLA250. As the “4Matic” moniker in its name indicates, it will come with all-wheel drive. A front-wheel drive GLA250 will hit showrooms in early 2015. Together new GLA-Class and its car counterpart, the CLA-Class, comprise the vanguard of a whole new breed of Mercedes, aimed at drivers younger than the brand’s typical buyers. The vehicles represent a paradigm shift in technology, from the company’s long-running rear-wheel drive architecture, to more fuel-efficient front-wheel drive systems, which help make the the vehicles smaller, lighter and less expensive. Mercedes plays up the GLA-Class’ “light off-road” capabilities in press materials, citing special modes that help the vehicle crawl down steep inclines and negotiate loose surfaces like sand and gravel. But think of it like any other crossover in this segment, as a taller, heavier hatchback that will spend most, if not all of its life on pavement. Interior photos show design elements such as the dashboard, with its iPad-like center screen and five prominent, round vents, to be identical to those of the CLA-Class. And just like with that car, designers and engineers paid particular attention to aerodynamics on the exterior of the GLA. The way the hood and fenders flow into the front roof pillars, the position of the side mirrors, and lips along the edges of the taillights were all crafted for optimum aerodynamic efficiency. This is particularly important with crossovers, whose bulkier and taller bodies generally create more wind resistance than cars do. Better aerodynamics translates to better fuel economy. Even though the 2015 Mercedes GLA250 will be one of the company’s most affordable models, it won’t skimp on advanced technology. For example, it will have truncated self-steering capability, such as being able to counter-steer on its own to help correct a skid or to maintain course when being buffeted by strong crosswinds. It will also come standard with Mercedes’ drowsy-driver detection and warning system called Attention Assist, and radar-based Collision Prevention Assist, which helps apply the brakes more forcefully if a collision seems imminent. Systems that automatically throw on the brakes all by themselves and help steer you back into your lane will be optional. Mercedes did not give pricing for the 2015 Mercedes GLA-Class. But based on its competitors and the company’s own model hierarchy, it will likely fall between that of the CLA-Class, which starts at $29,900, and the GLK-Class, formerly the smallest Mercedes sport utility, with a starting price of $37,480. By comparison, the BMW X1 starts at $30,800, while the Range Rover Evoque starts at $42,040. Driving tired is like driving drunk. “Just like alcohol or drugs, sleepiness slows reaction time and impairs judgment, according to AAA Foundation president and CEO Peter Kissinger.” And drowsy driving can be just as dangerous as driving under the influence. Another way is to just get more sleep in general. The New York Times says people get a lot less sleep than they did 30 or 40 years ago, “when the average amount of sleep was about eight hours a night.” Now people average seven hours a night. Driving is America’s primary mode of transportation, but when you drive tired, you’re putting yourself, your passengers and other drivers at risk. If you’re tired, just don’t drive. It could save your — or someone else’s — life. Making or receiving a call, even using a ‘hands free’ phone, can distract your attention from driving and could lead to an accident. In a collision, an unbelted rear passenger can kill or seriously injure the driver or a front seat passenger. Any alcohol, even a small amount , can impair your driving so be a safe driver don’t drive and drive. At 35mph you are twice as likely to kill a pedestrian than at 30mph. Children often act impulsively, take extra care outside schools, near buses and ice cream vans when they might be around. Tiredness is thought to be a major factor in more than 10% of road accidents. Plan to stop for at least a 15 minute break every 2 hours on a long journey. When crossing a road always use a pedestrian crossing if there is one nearby. Help others to see you by wearing fluorescent or reflective clothing in poor light conditions. Observe and anticipate other road users and use your mirrors regularly. Child and baby seats should be fitted properly and checked every trip. Always keep a two second gap between you and the car in front. The days of the full-service gas station are gone, and modern cars can go 30,000 miles or more without a tune-up. So it’s up to YOU to check the little things before they become big, expensive problems by checking under the hood of your Mercedes on a regular basis. Following these simple monthly checks will alert you to potential problems that can be dealt with before you get stranded or end up paying for expensive auto repairs. An old-fashioned maintenance term that’s nearly non-existent today. With electronic ignition and fuel injection came computers that took over control of engine settings. Early versions allowed for some tinkering, but today’s engines require advanced equipment and training. 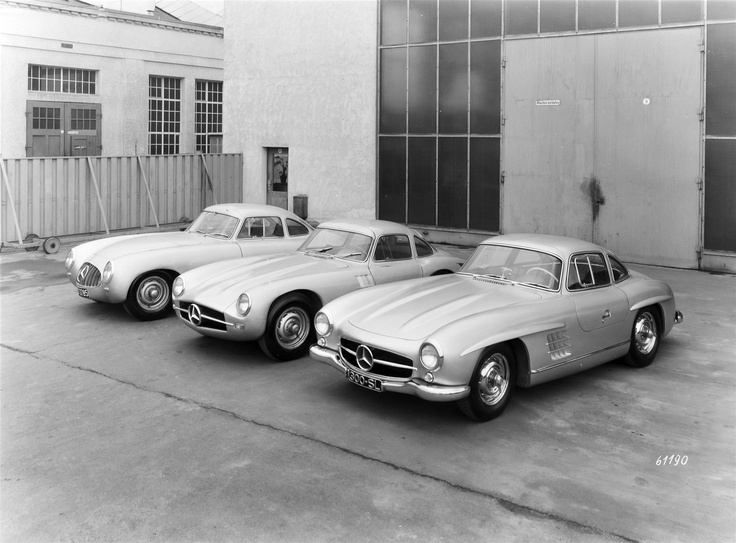 You can, however, replace normal maintenance parts and still see improved engine performance from your Mercedes. Here are common maintenance parts you can replace to significantly increase performance and reduce major problems. Oil pressure – or more precisely the lack of it – in certain parts of your Mercedes’ engine can become a major repair nightmare. All engines lose a certain amount of oil pressure over time as normal wear increases bearing clearances. But unusually low oil pressure in an engine, regardless of mileage, is often an indication that something is seriously wrong and requires immediate repairs. That “tappet” noise may be only one sticking lifter but it may also indicate an oil flow problem that will eventually cause damage to at least one valve. A flickering oil light is more difficult to troubleshoot if your engine is not obviously in need of major repair work. Bring it in to Malubu Motors and let us take a look at it. We have the Certified Master Mechanics to make sure your Mercedes Benz is running in tip-top condition. Modern engines with hydraulic lifters, tight tolerance bearings and miniature oil filters require conscientious monitoring of oil pressure. The following diagnostic tips (excerpted from “Troubleshooting Low Oil Pressure”, Underhood Service, 10/97) will help you determine whether you have a major repair problem or just a minor annoyance. Your brakes keep your family safe. Mercedes brake parts and repairs – expensive? Yes! Mercedes brake rotors, unlike domestics, are built with minimal thicknesses to save weight – meaning they can’t be “turned”; they must be replaced. Bring it in to Malubu Motors and let us take a look at it. We have the Certified Master Mechanics to make sure your Mercedes Benz is running in tip-top condition. Mercedes brake rotors are also more sensitive to warping from heat, and overheated brakes are the second most common cause of failure (first is wear-and-tear). Mercedes Brake Rotors (discs) should be inspected all the way around the surface and on both sides for any concentric scoring (grooves) or obvious defects. If defects are found, replace your rotors immediately. Any rotor discoloration may be a sign of overheating and an inspection by an Mercedes brake repair professional is needed. Mercedes Brake Pads will normally match rotor scoring but should also be inspected for uneven wear, breakage or cracking on the friction surface. Again, if defects are found, replace the pads immediately. Many cars also have brake pad sensors to warn of pad wear. If your Mercedes uses sensors, replace these at the same time as your pads. Mercedes Brake Drums (if equipped) should also be inspected on a regular basis. Check for the same types of flaws as noted above. The drums should not have excessive grooves or have a deep “trough” dug into them where the shoes ride. Mercedes Brake Shoes (if equipped) should be worn evenly and have no rivets protruding to the friction surface. Today’s auto electrical systems are getting more intricate and are stressing the limits of current technology but they are basically the same design as 30 years ago. What can today’s do-it-yourselfer do to keep from being electrically-challenged in the middle of nowhere? 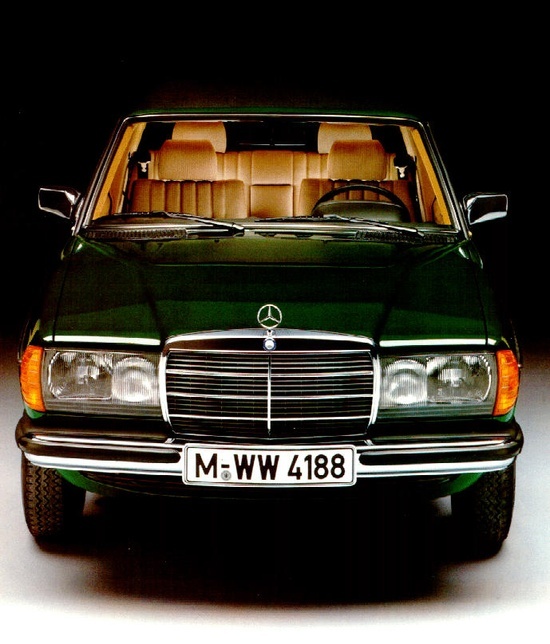 A quick overview of your Mercedes’ electrical system would be a good start. Bring it in to Laguna Motor Werks and let us take a look at it. We will make sure your Mercedes Benz is running in tip-top condition. Washing a car at home uses five to 20 times more water than a professional car wash. You also aren’t doing your car any favors: A recent study at the University of Texas proved that a single DIY wash can leave scratches as deep as a tenth of the paint’s total thickness. As driving instructors stress, your hands tend to follow where your eyes are looking. Adjusting the radio dial takes 5.5 seconds—and that’s 5.5 seconds when his eyes may not be on the road and both hands may not be on the wheel. Dialing a phone triples your risk of a crash. Reaching for a moving object increases it nine times. Worst of all is texting, which makes you 23 times more likely to crash. “Avoid the temptation to multitask behind the wheel altogether and put your cell phone in the glove compartment every time you get in the car,” says Ray Lahood, U.S. Secretary of Transportation. Drivers who sit higher feel as if they’re driving slower. Thus, SUV drivers, who are already piloting the vehicles most prone to roll, drive faster because they feel like they’re creeping along. So lower your seat to get the sensation of more speed. Smaller blind spots mean you’ll crane your neck less. Try this mirror adjustment method from Tom and Ray Magliozzi, hosts of NPR’s Car Talk: Set your rearview mirror as you normally would, then tilt it upward so you sit up straight. Lean your head against the driver’s window, then set your left mirror so you can see the back corner of your car. Lean right to do the right mirror. Don’t ride your clutch in anticipation of shifts. You’ll accelerate quicker and your clutch will last longer if you use it like expensive cologne—sparingly. Ramp metering, or the use of traffic signals at freeway on-ramps to regulate flow, forces a small time penalty on drivers at the beginning of their commutes, but it pays off. “Requiring vehicles to wait 20 or 30 seconds can save drivers 5 to 10 minutes on their trip,” says David Schrank, Ph.D., of the Texas Transportation Institute. Forty percent of car crashes occur at intersections, according to the National Highway Traffic Safety Administration, as do 22 percent of all fatal crashes. Do yourself a favor right now. Go out and look at the color of the antifreeze in your Benz or BMW. (Make sure the engine has cooled before opening the coolant cap). Is it by chance GREEN? If you have anything other than the pale orange or now the new blue Mercedes antifreeze or the blue BMW antifreeze In your cooling system, please read on because you may be harming your engine! As a bit of a background, antifreeze Is in many ways a miracle formulation, because it not only lowers the freezing point of water, it also raises the boiling point, assuming there is a correct 50/50 mix of antifreeze and distilled water. 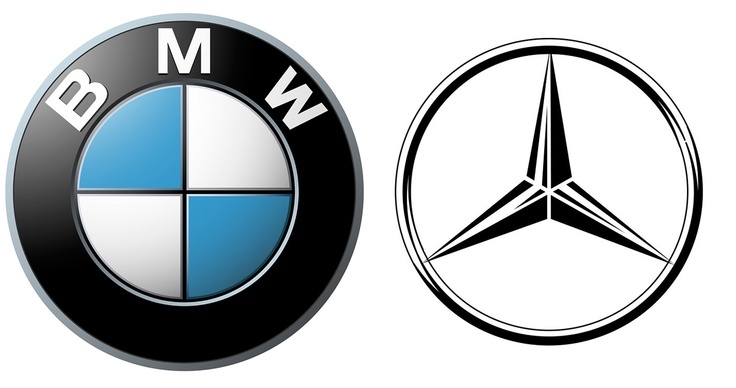 Laguna Motor Wërks strongly urges that only Genuine Mercedes and BMW antifreeze (properly mixed with distilled Water) should be used in your car because it contains special additives to keep the coolant from corroding your engine block, radiator and engine cylinder heads. Apparently Mercedes and BMW antifreeze contains buffers to keep the pH of the coolant as close to neutral as possible, which then prevents corrosion and leaching of the engine. PH is a measure of the relative concentrations of acids versus bases in liquid. Other name brand formulations, while claiming to be specifically formulated for aluminum engine, do not contain the correct pH buffers. 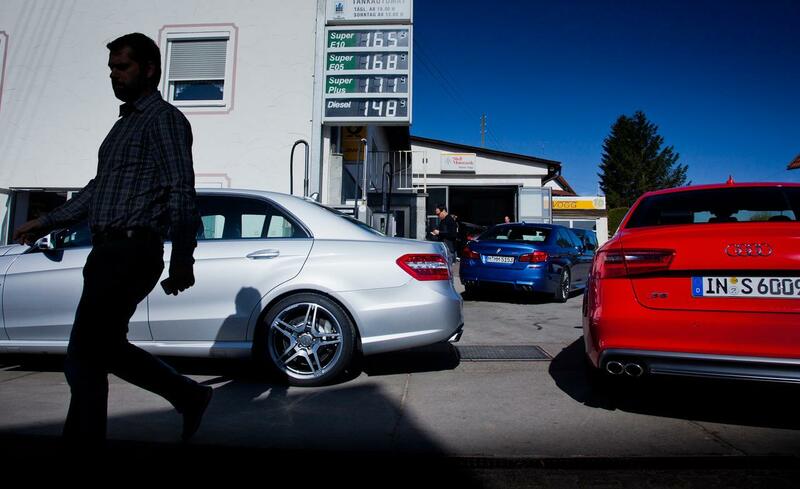 While genuine Mercedes and BMW coolant is a little more expensive than the “Green stuff”, think of it as extremely cheap insurance to extend the life of your Mercedes or BMW investment. Also note that Mercedes and BMW recommends changing the coolant at least once every three years. Promise yourself you will check your coolant and have it drained and refilled with the Factory Mercedes or BMW stuff. Those of you with the correct fluid, give yourselves a pat on the back.